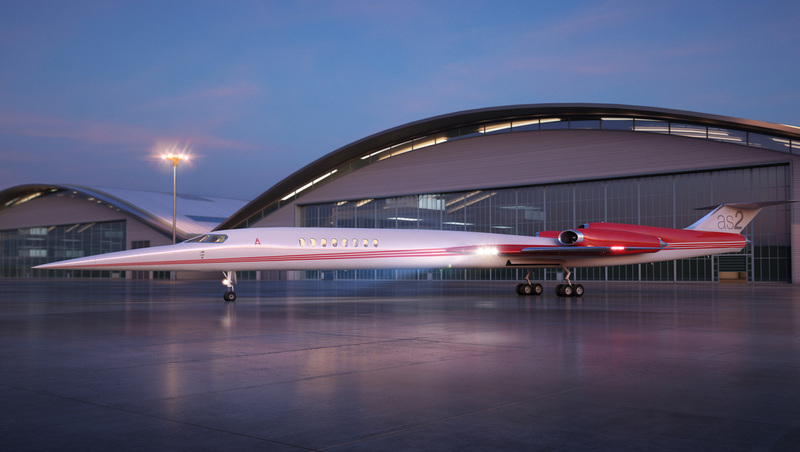 The U.S. Congress is showing an appetite for revisiting the decades-long ban on supersonic travel over land. Both the House and Senate versions of FAA reauthorization bills include measures directing the FAA to study the regulations surrounding supersonic travel to see if they could be updated. “It is important to create bias for action…so we can lead to certification and safe operation over the domestic U.S.,” said Rep. Mark Sanford (R-South Carolina), who sponsored the measure as an amendment to the House FAA reauthorization bill. Civil supersonic travel over land in the U.S. has been prohibited since March 1973. The Concorde supersonic airliner had to slow to below Mach 1 before making landfall on its transatlantic flights. But years of research surrounding sonic booms and the advancement of technologies are giving rise to questions about what could be done to facilitate supersonic travel. Sanford’s measure calls on the FAA to “consider the needs of the aerospace industry and other stakeholders when creating policies, regulations and standards that enable the safe commercial deployment of civil supersonic aircraft technology and the safe and efficient operation of civil supersonic aircraft.” The measure directs the FAA to obtain stakeholder input on an appropriate regulatory framework and timeline to permit civil supersonic aircraft operations; issues related to standards and noise certification; operational differences between subsonic and supersonic aircraft; benefits of supersonic operations; and challenges with balancing economically reasonable policies with protecting the public from noise exposure. It further directs the FAA to report back to Congress within a year on its activities. The Senate FAA reauthorization bill, meanwhile, directs the FAA to, within 180 days, review laws and policies regarding supersonic aircraft operations over land and submit a report to Congress detailing advancements in aircraft/engine design that would mitigate noise and other concerns that led to the restrictions on such operations. It also asks for recommendations on laws that would need to be changed to permit supersonic operation and on any planned actions to update or modify regulations and policies. Further, the Senate measure seeks a timeline for such changes. Both the House and Senate bills must make their way through the respective chambers before the measures can be reconciled. But with provisions in both the House and Senate bills, the likelihood increases that—should Congress reach agreement on a comprehensive FAA bill—there will be some sort of directive to the FAA to consider action on supersonic flight over land.